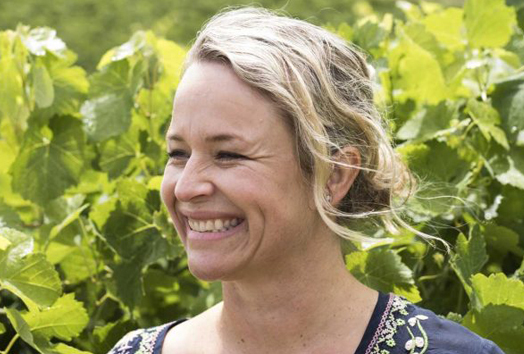 The Australian Society of Viticulture and Oenology has announced the finalists for the 2018 ASVO Winemaker of the Year award – Pete Bissell, Corrina Wright (pictured) and Bryan Currie. The ASVO Awards for excellence are now in their sixth year and continue to grow. ASVO President Dr Tony Robinson said the awards recognise the achievements of some of the most dedicated and professional individuals in the wine industry. “As an industry, we are fortunate to have many very skilled and professional people who are contributing significantly to the wine community, inspiring those around them to seek out and adopt innovative practices. The quality of this year’s finalists is absolutely outstanding, and I congratulate each of them on their achievements to date,” Dr Robinson said. Winners will be announced at an Awards ceremony and dinner on 13 November at the National Wine Centre in Adelaide. Corrina has dedicated herself to the development of innovative varieties and innovative wine styles. She led the planting of the first Mencia in Australia, on the back of being an early adopter of Fiano (including a sparkling version of this variety), Vermentino and Sagrantino, with a particular focus on planting varieties that are heat and drought tolerant, with high natural acidity and with a different flavour profile to their more traditional Shiraz and Grenache plantings. Corrina has been involved in many aspects of the broader wine industry having been a Board member of the ASVO, South Australian Wine Industry Council and McLaren Vale Grape Wine and Tourism Association. Corrina has recently been appointed a McLaren Vale Ambassador, a role which provides leadership and information dissemination for the region. With a clear commitment to the future of the industry, Corrina has further extended her involvement in the wine industry by being a key instigator in the Winemakers Federation of Australia (WFA) undertaking a gender and cultural diversity study for the industry and combined with her Board membership of the Australian Women in Wine Awards (AWIWA), is an important part of the leadership on cultural change for the whole wine community.